Have you noticed that laundry rooms are all of a sudden center-stage? There are so many accessories, furnishings and design ideas for the laundry room. Why? I think the advent of new machines are one of the drivers. Today’s options include front-load, top-load, water-saving, high-efficiency and stackable. You only used to have to worry about selecting by capacity and features. Now too you have more color choices than white (and maybe almond). Race-car red would make wash-day an adventure. How about royal blue to make you feel regal, in command of your loyal sock-subjects? Maybe laundry domains have become more popular because our clothes-care takes up a significant portion of our daily lives, and an organized, attractive room just takes some of the drudgery out of the chore. Given a convenient, easy-to-use and attractive space, maybe all the kids (cool or otherwise) will be excited to be doing laundry. We had the opportunity over spring break to tour a project we’d designed a couple of years ago. It was a walk-out basement on Circle Lake that needed finishing. When the house was designed and built, not much forethought was given to the basement layout and the proposed floor plan just wasn’t going to work well for the owners. A complication was the plumbing: the rough-ins weren’t exactly where we’d have liked them, and the radiant in-floor heat made tearing up the floor (to relocate the plumbing) a poor solution. In the end, we found a way to get the bar where we wanted it and worked around the plumbing issue. 3-D computer modeling brought the possibilities to life, allowing the owners to understand the flow of the rooms, the sight lines and creative finishes. They now have a stunning entertaining space, two kids’ bedrooms and shared bath, a game room and a bathroom easily accessible from the outdoors for their lower level. 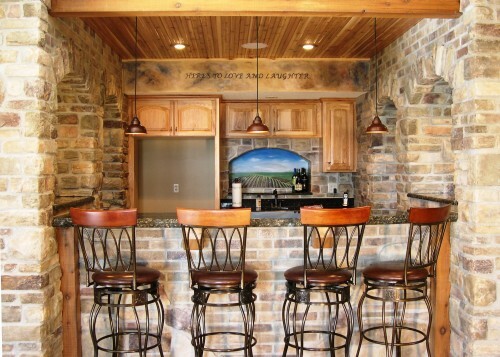 The bar is certainly the focal point, and the owner set the stone and tile himself. A skilled mason, the work echoes the stone on the home’s exterior, which blends the inside and outside, making a great visual as well as physical connection. Taking the time to do things right is evident in this project: the granite countertop was custom fabricated, the slate tile was laid in a pattern, and all the stone layouts were planned before setting began. Left to do: appliances and a game table. Not every homeowner has the skills or time to install so much of their own project. We can help you decide how much you’d like to tackle and then we’ll help find craftspeople to do the rest. And we’ll get them the drawings and information they need to understand the vision we created together. Watch the “portfolio” section of our website as we add more photos of the project. And let us know how we can help you. 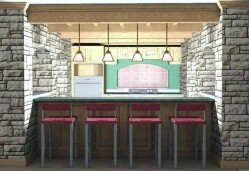 Whether remodeling, expanding or building new, It can be challenging to visualize how your building project will look. With your invested dollars at stake, it makes good sense to verify that you’ll be happy with the finished product before it is installed. Otherwise you risk living with space that doesn’t fit or paying the high cost of replacement or modification. Our design process helps you at each step of the way. 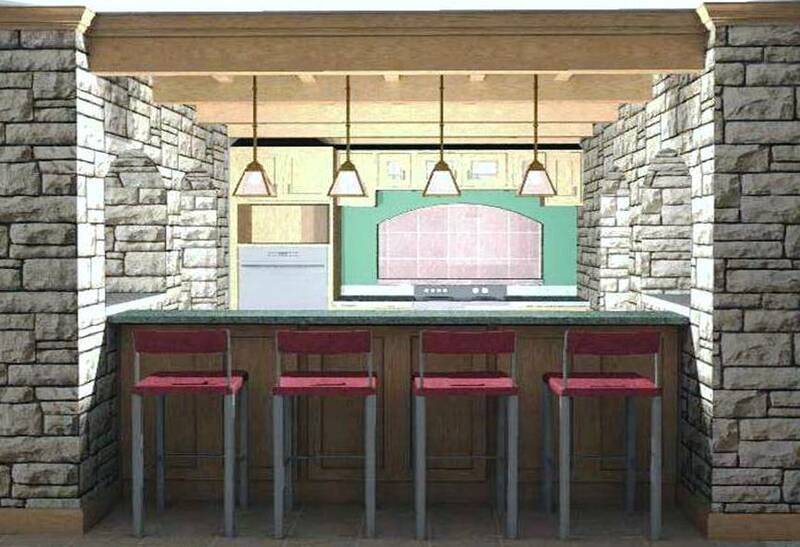 This photo was taken during Design Development for a residential remodeling. Mary, our lead Interior Designer, is reviewing finish options with a client. 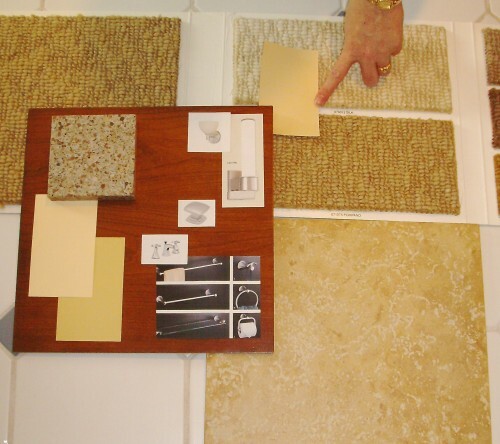 After initial Schematic Design conversations about the overall look and feel for the remodeling, Mary assembled several possible material combinations onto presentation boards. We then reviewed each on site with the homeowner so that decisions were made in the same light in which they will be installed. In parallel, we provide a big-picture view of the whole project through 3D computer visualization. With professional input and advice, our clients receive needed assurance that the picks will, indeed, be beautiful and functional when installed. This is part of the way we strive to make your experience pleasurable and rewarding: interaction and collaboration. You will find our designers to be responsive, caring and professional. When construction begins, we’ll review the colors and finishes again to make sure they are exactly right; adding windows and changing wall colors will affect your perception and it’s got to be right! It would be a delight to serve you. The plants are in place on our first residential green roof! Now in their first season, the seedums are taking root and getting established. A soaker hose is being used to water for now As they fill out, the erosion control mat will become less visible, and the roof will retain more rainwater than it currently does. 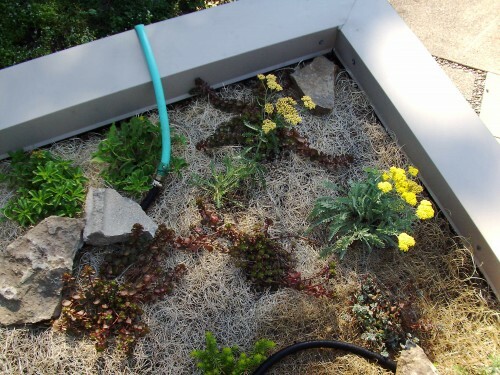 We estimate that the roof should reduce runoff by 50% a that point; however, other portions of the roof drain onto this roof through downspouts, so we are asking a lot of these plantings! 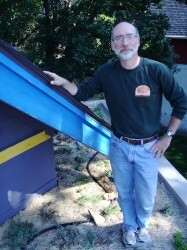 The homeowners installed the multi-layered system and planted on top of the rubber membrane provided by the contractor. They blogged about it in two parts: Part One and Part Two. Take a look, they’ve done well in explaining the process. This article also appeared in the April 15, 2009 Home and Garden insert of the Northfield News. It isn’t news that the housing market is drastically different. Houses aren’t selling overnight and the flexibility of moving just isn’t there. This means it is time we think differently about our homes and how we wisely make them our own. Sarah Susanka’s building approach, “The Not So Big House” is celebrating ten years of success. The theory resonates with many home owners: it values quality over quantity and creating a home for yourself, not a generic sales market. Most people who come to Vivus Architecture + Design subscribe to these principles and want design solutions that provide personalized spaces that are right-sized with features that make living easier and more beautiful. Useful spaces that save time and money are always assets. Organized closets optimally placed save frustration and repurchasing of items that can’t be found. 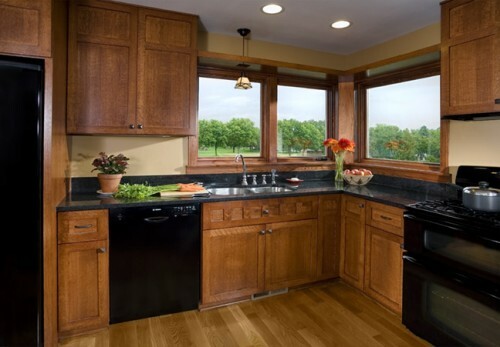 A good kitchen layout makes cooking, cleanup and entertaining easier and more enjoyable for everyone. By designing efficient living spaces, we are often able to reduce the square footage previously anticipated for an addition. This planning is rewarded by construction savings. We are now seeing fewer projects that are short-term solutions: homeowners are installing high-quality cabinetry, flooring and finishes. This may mean an owner will take on a smaller project, but the enduring appeal and life span of the materials make the decision a good one. Navigating through the available selections takes effort and planning, but it pays in the long run when a remodeling lasts for decades. Families are just as busy as ever, and demand much from their homes. 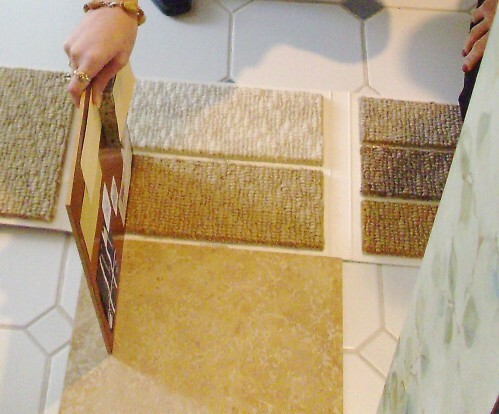 More homes locally are planning for mudrooms. Mudrooms answer many needs: storage, organization, information/scheduling, pet spaces, and sometimes laundry. Kitchens are designed with built-in places for homework, home offices, entertaining and specialty cooking. Homeowners are upgrading appliances, cabinetry, lighting and flooring to create hard-working and good-looking multi-use spaces. Open connections between rooms can offer new opportunities for entertaining and family connectedness if they are adequately designed to do so. We are seeing less square footage added as more owners opt to create rooms for the whole family: reading, watching TV, playing games and using the computer. 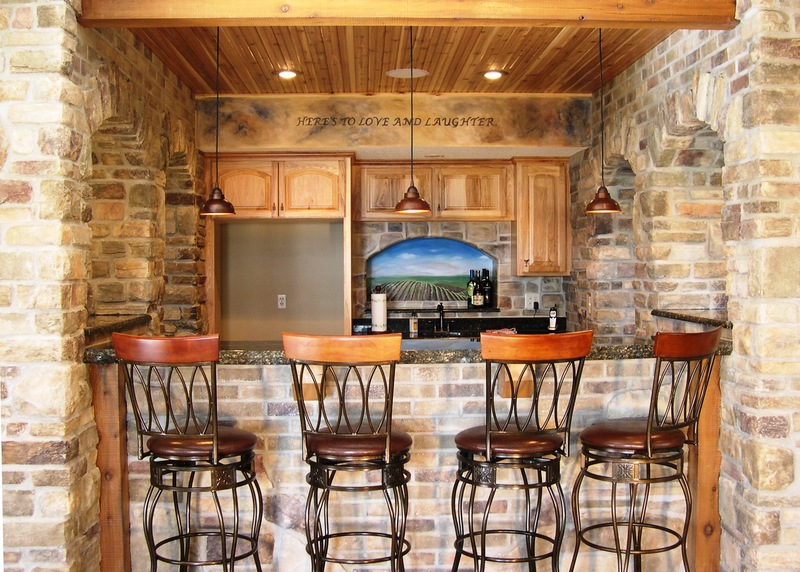 Built-in nooks and work counters perform many functions without requiring much floor space. One well-planned hard-working room can replace several others. Instead of a dedicated home office, we often allocate space in or near a common room. More and more green elements are being incorporated. Energy savings, carbon reduction, kindness to the earth and health are driving factors. We address these desires by designing a tight envelope (good windows, doors, insulation), selecting efficient heating/cooling, and recommending eco-friendly products. 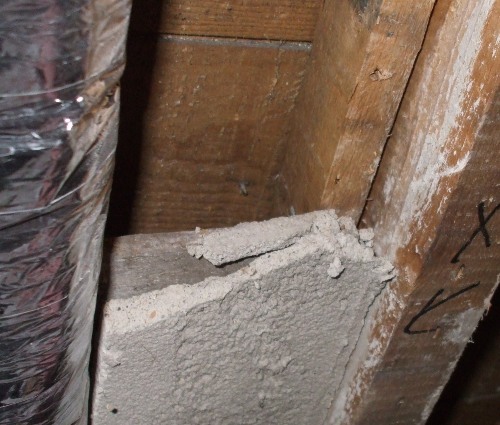 Efficiency and durability are strategies that also help “green” a home. Renewable energy systems are an option, too. Don’t be afraid to make your home your own. The homes we remember are those with interesting nooks and crannies, fun features or rooms beautifully appointed. It takes a careful hand to decipher what is universally charming and what is over-the-top. We often recommend the unusual strokes be items that can be removed: paint, furniture, accessories. 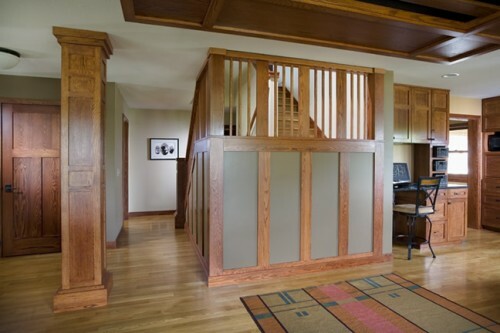 Well-done focal points, quality built-ins and beautiful woodwork are features that appeal to everyone. 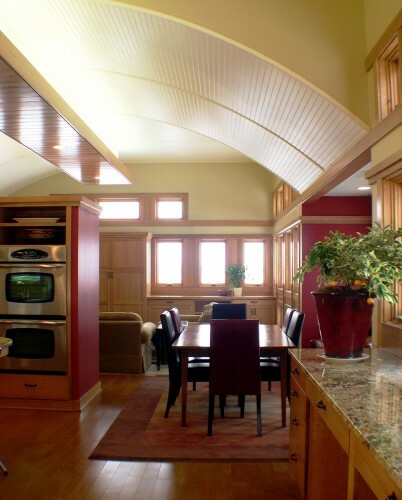 Color can enhance woodwork and furniture, set a mood, and optimize natural light. Today’s spaces have touches of bright colors mixed with neutrals. Rooms are planned to have color opportunities: backsplashes, stained glass, and walls that sport a focused hue. Local colors include darker, saturated earth tones (mustard yellows, clay reds, brown-based greens) and deeper neutrals. As you think about making your current home work better for you, employ the trends listed above to make wise choices about your updates. Planning ahead and good design will reward you with usable and enjoyable spaces that will serve you for many years. Let us know how we can help. Last Thursday we attended a program sponsored by the CMHC-Canada’s National Housing Agency and the Consulate General of Canada that promoted product applications and sustainable building technologies. Some of the topics were aimed at larger, more commercial buildings, but all of them were applicable to residential construction as well. The first seminar discussed hardwood flooring and what architects, designers and contractors can do to make more sustainable choices. FSC rating is a good first step to take. (If you didn’t know, the Northfield Smartwood office works with this program.) “Chain of Custody,” the tracking of the end product backward through its distribution and harvest, indicates a more reliable trail of sustainable practices. Not all wood that is stamped comes with this chain of custody. It is more labor intensive to cull out this wood, and often more expensive. Our speaker, Serge Noel, mentioned that the suppliers who are able to use the FSC stamp are very careful to not abuse its use: the entire operation can be denied their certification if used improperly. Mr. Noel discussed another method to using hardwood flooring more sustainably: specifying different widths of wood. If a particular width is the trend, the remainder of a wood plank may be under utilized. The equipment used to cut the plank to flooring widths typically cuts 2 1/4 and 3 1/4 inch widths. By including a 2 1/2 inch width, they are able to use more of each plank, increasing their output per tree. Also, by using flooring grades that include random coloration and grading, more of each floor board can be used. (If a 10-foot floor board has consistent coloration except for the last two feet, the two feet will be cut off and placed as a lower grade, such as “cabin.” Streaks and imperfections are handled in the same way.) “Pacific” was the grade Mr. Noel used for the mixed-coloration wood. It is still graded and free from big knots and other imperfections; it just has more character. Is the wood I want FSC stamped and does it have the chain of custody paperwork? Will the look of a mixed grade be acceptable? We can help you answer these questions and more to make your project more sustainable and to save unnecessary cutting of trees.